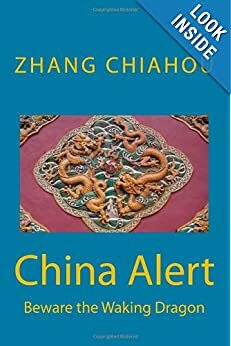 Turmoil in China, mostly caused by the Great Helmsman, Chairman Mao; eventually resulting in a peaceful and prosperous China, Mao could only have dreamed of. · 1949–1956 – Generally seen as the ‘good years’ of Chinese socialism. Land is redistributed to peasants and the economy grows. · 1950-53 – Chinese People’s Volunteers joins Korean War and enters North Korea in November 1950 as UN forces with South Korea repulsed North Korea’s attempt to reunify country through arms almost to Chinese border along Yalu River. After series of see-saw battles, initially with Chinese and North Koreans pushing far south, truce was agreed that settled border along 38th parallel. China withdraws its Volunteers. · 1956 – ‘The Hundred Flowers’ Campaign encouraged intellectuals to give their opinions about the government. Many that did were sent to jail in the anti-rightist purge that followed! · 1956 – Brief war with Burma when Chinese forces invaded Burma, clashing with Burmese troops and taking disputed territory in northern Burma. · 1958–60 – ‘The Great Leap Forward’, attempt to boost production through re-redistribution of land into communes and millions of backyard ‘steel furnaces’. Apparently, Mao was told by some economists that a key measure of level of industrialisation is iron and steel production. With so many communes and neighbourhood communities at Party’s beck and call, what better way to boost this indicator! Result was two failed harvests and millions of deaths from starvation. · 1962 – China made several attempts to negotiate its border with India delineated by Sir Henry McMahon (of British Raj) agreed by Tibetan authorities, then a vassal state of Imperial China, but not accepted by China. India refused to negotiate. China was also highly irritated by India providing refuge to Dalai Lama since1959, supporting him, in effect, to set up government in exile. 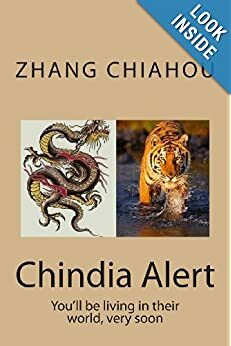 After repeated threats, Chinese tanks rolled over Himalayas into western Himalayan areas and Assam in the east and captured strategic oil fields. Indian Army was totally unprepared as it thought Himalayas impassable for tanks. After several months of occupation, China unilaterally withdrew from Assam. It has however retained Aksai Chin in the west. India lost ‘face’ in a big way. The dispute has yet to be resolved. · 1966 – After few years away from power, Mao starts ‘Great Proletarian Cultural Revolution’. Cultural Revolution was time of utter chaos: students formed into bands of ‘Red Guards’ destroying anything representing the West, capitalism, religion or tradition. Mao’s rivals within Party were purged, thousands of lives were ruined, layers of managers and professionals were sent to farms or mines – some never to return, health and education system collapsed, and much of China’s cultural heritage was destroyed. · 1969 – 2005 – Territorial dispute arising from nineteenth-century treaties imposed on China by Russia concentrated on boundary alignment along Amur and Ussuri Rivers. Beijing sought settlement on basis of compromise, and insisted on full renegotiation. Moscow refused to negotiate and used military force to impose treaties. China responded, and in 1969 clashes on Ussuri River brought conflict to brink of war that could have involved tactical nuclear weapons! In 1986 Moscow broke deadlock by reversing its approach and agreeing to negotiate. By 2005 Sino-Russian boundary had been agreed and legitimised in new treaties. · 1976 – The chaos of the Cultural Revolution ends with death of Mao. Mme Mao and her ‘Gang of Four’ are arrested. Hua Guofeng takes over, but has no real power base. · 1977 – Schools and universities re-open for business after 12 years of statis. Anyone could apply for the 273,000 university places. Nearly 6 million did, and only 4.7% gained places. But from that class of ’77 come the leaders, both political and industrial, of 21st Century China: including Li Keqiang, premier 2013, Zhang Yimou, filmmaker (Raise the Red Lantern) and Chen Kaige (Farewell my Concubine). · 1978 – Deng Xiaoping ousts Hua Guofeng and, for almost the first time in Chinese history – imperial or otherwise, allows his predecessor to retire in peace. · 1979 – China invades Vietnam as response to what it considered to be collection of provocations and policies on Vietnam’s part. These included Vietnamese intimacy with Soviet Union, mistreatment of ethnic Chinese living in Vietnam (the Boat People), ‘imperial aims’ in Southeast Asia, and spurning of Beijing’s attempt to repatriate disaffected ethnic Chinese in Vietnam to China. Strategically, some military analysts say this was carried out to demonstrate that the Soviet Union was powerless to intervene when one of its client states was attacked. But it does not win outright and withdraws after 29 days. · 1980 – Deng begins policies of ‘reform and opening up’ which see China open up its economy and (initially) political life. dents hopes for further political reform and tarnished China’s international image. · 1997 – Deng dies, Hong Kong returns to China. Economic reforms continue to accelerate. · 2009 – 1 October: China celebrates 60th anniversary of liberation. 2014: China is second after USA in nominal GDP, number 1 in exports beating Germany and number 1 in global trade.